Mountain, Culture & Wildlife – these three words define the experiences one looks out for during a trip to Nepal. And this itinerary fulfills the expectation fully with its interesting line-up of route and attractions. Beginning from Kathmandu, the cultural city and capital of Nepal, the trip takes on the thrilling turn in jungles of Terai at Chitwan. 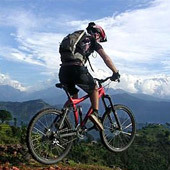 Thereon, the journey furthers itself on the stunning panoramic views of Pokhara around Phewa lake. 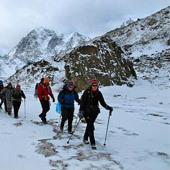 Truly, the trip sums up the spirit of Nepal in the comprehensive way. Arrive Kathmandu. Meet & transfer to Hotel. O/N Hotel. Morning: Sightseeing tour of Patan and Tibetan Refugee Camp. 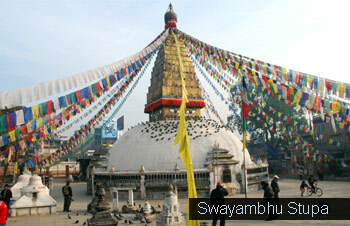 Afternoon: Sightseeing tour of Kathmandu, Swyambhunath and Boudhanath. O/N Hotel. After breakfast drive to Pokhara. Afternoon independent activities or walk around lake side. O/N Hotel. Sunrise from hotel itself and depart for ½ day city tour. Afternoon boating at Lake Phewa. 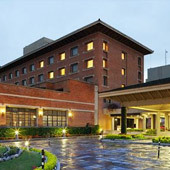 O/N Hotel.